For the first time ever, Indian Muslim women above 45 will be allowed to travel in groups of four or more without a male guardian following recent changes in the national Haj policy. 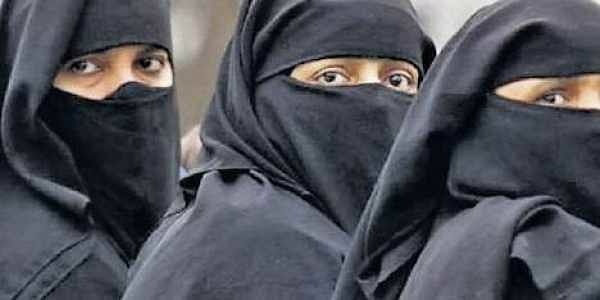 NEW DELHI: For the first time ever, Indian Muslim women above 45 will be allowed to travel in groups of four or more without a male guardian following recent changes in the national Haj policy. But instead of a flood of applications, the Haj Committee of India (HCoI) has received barely a trickle. Of the total applications for Haj 2018, the proportion of women opting to go without a male guardian (mehram) is not even one per cent. Most of these one per cent applications are from Kerala. Not even one application under the revised norms has been received from many states and Union Territories, including Lakshadweep, Assam and Bihar – regions with a relatively high proportion of Muslims. According to Census 2011, Muslims comprise over 96 per cent of the total population of Lakshadweep. In Assam and Bihar, Muslims comprise 34.22 percent and 16.87 percent of the total population respectively. So why is it that Muslim women mostly from Kerala have warmed up to the revised Haj policy? Better online connectivity, high literacy rates and prevalence of a ‘progressive’ sect of Islam may be some of the reasons. Maqsood Ahmed Khan, CEO of the Haj Committee of India said most applications received from Kerala had been online, and that such applications are processed immediately as compared to offline applications. “Most of these applications have been processed online. For last year’s Haj too, 98 per cent applications from Kerala were received online. Most applications from states such as UP and Bihar usually are filed offline, so they show in our records only a day or two before the final date for submission of forms,” he said. Also, the literacy rate of Kerala is much higher than that of Uttar Pradesh, Bihar and West Bengal where almost half (47 per cent) of the total Indian Muslim population lives. Haj Committee of India sources said another reason why there are more such applications from Kerala could be because most Muslims in the state belong to the Shafii sect of Islam, which is considered more progressive compared to other sects such as the Hanafi sect. There was also opposition from some Muslim groups and organisations when the new category was proposed by a special Haj committee as part of the new policy. The Haj Committee of India has received 2,29,519 applications for Haj 2018, of which only 908 applications fall under the new category. Committee Chairman Mehboob Ali Kaiser told Express that the application process was yet to be completed and around 3,000 applications were expected under the new category. The application process for Haj 2018 began on November 15. The last date of application was December 7. That date has now been extended to December 22.